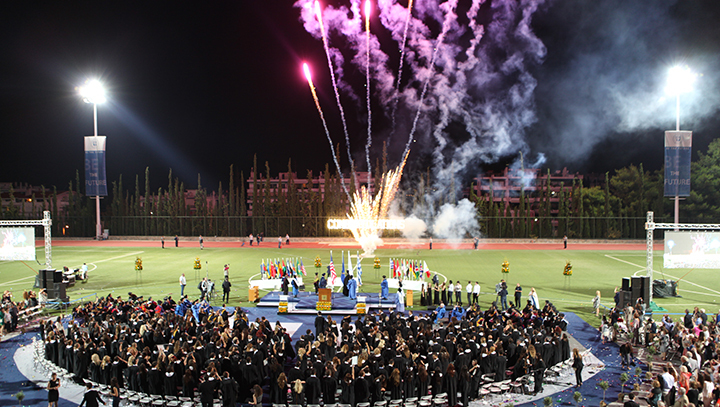 The American College of Greece | Deree Commencement 2017: Counting Down the Days! Home » News & Events » News » Deree Commencement 2017: Counting Down the Days! Deree Commencement 2017: Counting Down the Days! The annual Deree Commencement is just around the corner! Our biggest event of the year celebrates the perseverance of each and every one of our students, and all the hard work that has led them to this wonderful occasion, their graduation day! Beginning at 21:00 on Saturday, July 1, more than 360 undergraduate and graduate Deree students from 24 countries will be awarded their bachelor’s and master’s degrees, joining the 52,000-strong ACG alumni family. 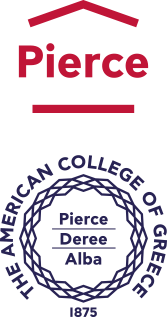 The 2017 Commencement Address will be delivered by Philip C. Korologos, Chair of the Board of Trustees of The American College of Greece, and Olga E. Julius who has served as the Principal of Pierce – The American College of Greece for over 40 years. The Deree Class of 2017 will be joined by family, friends, faculty, and staff, in the event of the year to celebrate their accomplishments and to wish them luck, determination, and inspiration in their next steps! The 2017 Commencement Ceremony will be broadcast via live streaming on Saturday, July 1 at 21:00. You can view the live stream on the day by clicking, here. Mr. Philip C. Korologos and Mrs. Olga E. Julius will address the graduating class, and be awarded the degrees of Doctor of Laws and Doctor of Letters respectively, for their contribution to education. Philip C. Korologos is a partner in the law firm of Boies Schiller Flexner LLP in New York. He holds a JD degree from the University of Virginia School of Law and a BA in Physics from Cornell University. His legal practice focuses on complex litigation, including antitrust claims, securities fraud, trademark disputes, and many other matters pending in federal and state courts and international and domestic arbitrations. Mr. Korologos joined the ACG Board of Trustees in 2006, and was its Vice-Chair from 2009-2011. He has been a member of the Board of Directors of the Alba Graduate Business School at The American College of Greece from 2012-2017. Since 2011, he has served as Chair of the ACG Board of Trustees. Olga E. Julius has faithfully served Pierce for 42 years. She holds a BA in French and German language and literature from Chatham College, and an MA in Teaching English as a Second Language from Saint Michael’s College. In 1975, she began her career at Pierce as an English Instructor, quickly moving on to administrative positions of increasing responsibility. She served as Head of the school’s English Department from 1979-2015; Assistant Principal from 1983-1993; and Associate Principal from 1993-2003. Since 2003, she has led Pierce as its Principal.